We're Back! A Dinosaur's Story :: Movie Information :: RabbitTV GO! 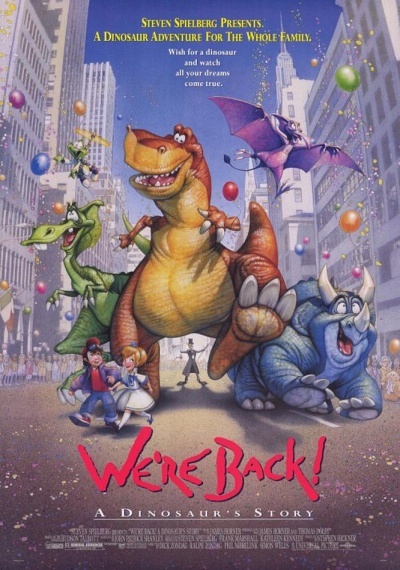 Four friendly dinosaurs go from the Prehistoric Age to modern-day Manhattan for a rip-roaring adventure in this animated film.Time traveler Captain NewEyes grants dinosaurs Rex, Elsa, Woog and Dweeb a jolly temperament and sets them free in the Big Apple. The dinos aim for the Museum of Natural History, but a nefarious professor plots to use the dinosaurs in his evildoings!